I became interested in cities before architecture. When I was 17 I visited Chicago. I was so fascinated with that city as a European kid that I decided to become an architect. Well, I intended to go more towards literary studies to be a writer, but seeing that city and then New York made me want to be an architect. I knew a little bit about architecture. My father, Jean Tschumi was a successful architect who designed several major buildings in Europe, including the Nestlé Headquarters in Vevey, Switzerland and the headquarters of the World Health Organization in Geneva. I was only 18 when he died. When you say Chicago and New York you mean skyscrapers, right? Absolutely, but you know, the reason why I organized my life between Paris and New York is because these cities I like the best and not because of my family or professional practice. In Paris there are no skyscrapers, in New York there are many skyscrapers. So I balance different fascinations. Your architecture is deconstructivist, right? [Laughs.] Well, so it is labeled. How do you define deconstructivist architecture? Well, let’s go back a little bit into history. The year is 1988. The architectural scene is dominated by historicist Post-Modernism. Most architects are rediscovering the past. They are trying to build with signs and symbols, coming from 18th or 19th century. The big corporate firms all put little pediments and colonnades on their buildings, and so on. A few architects, at the time are very much against it and want to reclaim the legacy of avant-garde. Among these architects are people who were at the MoMA show: Frank Gehry, Rem Koolhaas, Peter Eisenman, Coop Himmelblau, Daniel Libeskind, Zaha Hadid, and I. Among us there were at least two architects who were interested in literary theories and ideas of deconstruction by Jacques Derrida. So curators of the show invented something called deconstructivism, which is deconstruction plus Russian Constructivism. But, as we all said at the time it is not a movement. It is not a school. It is the title of the exhibition. But what is interesting is that 1988 was the most conservative period in architecture in the 20th century. And we, those few architects were among the first to go against that conservative period, and now, look – everybody is doing, so called contemporary architecture. You are referring to the historic exhibition Deconstructivist Architecture held in 1988 at MoMA and organized by Philip Johnson and Mark Wigley. 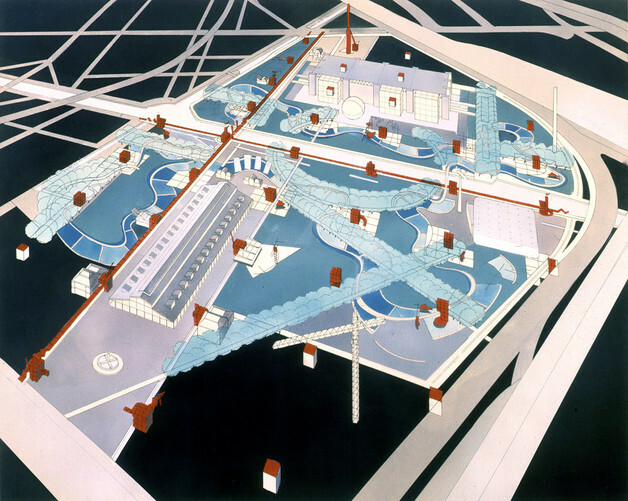 As an introduction to so called deconstructivist projects there were also projects by the Russian Constructivists. So what are the differences and similarities between Russian Constructivism and deconstructivism? Oh! Many! First, these are time and geography, time and space. Look, our work emerged 70 years later in a different social, economic, and political context. So there is a very big difference. Let’s start with the similarities. They are: a wish to reinvent architecture, to discover a new world, a new vocabulary, a new attitude, and new programs. The differences, of course, are social, political, and economic. Social and political because all of the conservative institutions: the family, the state, the church. In other words, the whole series of certainties were destroyed. Russia was an extraordinarily fertile ground for discovery not only in architecture but in cinema, in poetry, and so on. This was not quite the situation in the West in the 1980s. What we did was more superficial, more related to creativity then the real social movement, right? Nevertheless, I still believe that what we were doing was important because it was about placing architecture back in the realm of ideas and invention. And what about the similarities and differences of stylistic language of Constructivists and deconstructivists? Let’s start with the similarities. It is the fascination with elements expressing movement, because architecture is not only static, but also dynamic, in other words: staircases, ramps, towers, cranes, elevators, and so on, right? This fascination with technology is a way of introducing a new vocabulary. Now what are the differences? This is interesting. It is a move away from primary forms: the sphere, the cube, the cylinder, and the cone towards much more fluid and dynamic forms. And, of course, a few years later we arrived at the discovery of what we can do with computers, which the Russian Constructivists didn’t have, right? So this led to the invention of the formal vocabulary, which is in itself a very dynamic form of expression. How the use of computers could not only help to solve a problem, but also to enhance the quality of design? Let’s take the famous Brunelleschi’s cupola in Florence. That is a work of engineering and to calculate it required a mixture of intuition, mathematics, and geometry. Today, of course, you would never do that by hand. Never, never, never, but you would use computers almost in the same way as the mind calculates. However, we also use computers in a different way, in a way that is going to explore certain spatial configurations that our mind has difficulty imagining. Hence, suddenly the computer, which is always an amplification of the mind, becomes many times more effective. Who in your view was first to use deconstructivist ideas in architecture? Well, it is hard for me to name one person. You have Frank Gehry who is using a bricolage of materials in a very liberated way and then later uses computer software which allows him to do complex curvilinear geometry. 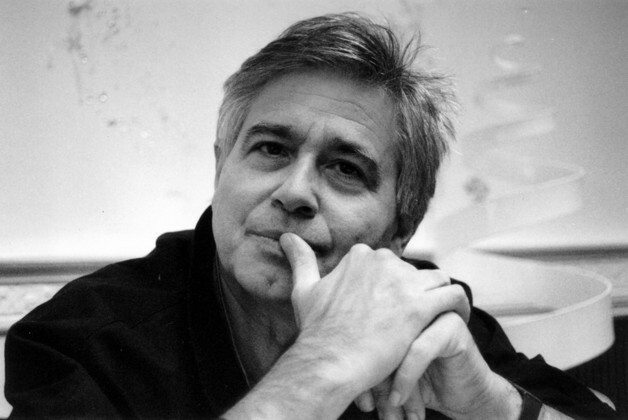 You have Peter Eisenman who develops an obsessive formal investigation and theoretical discourse. He is also interested in what is happening in other disciplines. You have Coop Himmelb(l)au who in a very intuitive way, in the early 1970s, is testing collisions, distortions, tensions, and compressions in materials. You have Rem Koolhaas who is fascinated with Leonidov and the Russians. I am interested in film theory and literary theory, and new social programs. You have Daniel Libeskind who is interested in symbolism. You have Zaha Hadid who has an incredible intuition in purely formal issues. So I took you chronologically at who was first developing certain things, but we were all different. Were you all aware of each other? So some of you influenced the others, right? No, I don’t think so. I think it was about the spirit of that period. Did you ever meet to discuss your work? We didn’t meet as a group, but we all knew each other. In the 1970s, Wolf Prix of Coop Himmelb(l)au, Rem Koolhaas, Daniel Libeskind, Zaha Hadid, and myself were all at the Architectural Association in London. Then in the late 1970s, Peter Eisenman, Rem Koolhaas again, and I were at the New York’s Institute for Architecture and Urban Studies. So we all knew each other. But there was no one person to influence the others. Or maybe everybody influenced everybody. Why do you think all of these architects from London and New York, and Frank Gehry from Los Angeles simultaneously developed deconstructivist language in architecture? Please, don’t call it deconstructivist! Call it contemporary language of architecture, because at that time and today none of us would consider our architecture deconstructivist. We didn’t even like the name. We wanted to be contemporary. We didn’t want to be another movement, because movements come and go. They are born and then they die. But we wanted to be the present. You keep saying that deconstructivism was not a movement. So why do you think it never became a movement? Simply because it was never meant to be a movement. It was just a title of the exhibition. Everybody wanted to avoid to what happened to Post-Modernism, which was intensely marketed as a movement. You lived and worked in Paris in 1968, the year of violent student riots. How did it affect you? What happened then was a radical questioning of all social institutions, including architecture. So a number of people of my generation became radically critical of architecture and what it symbolized. I decided to explore the definition and the limits of architecture. In other words, find a way to define architecture beyond all the preconceived ideas and clichés. And that is what my work is about. So it starts with questioning. Who influenced you most as an architect? You know, it is not an architect; it is a filmmaker Sergey Eisenstein. And Eisenstein was interested in architecture. And interestingly enough, now we are working on the New Acropolis Museum in Athens and I’m rediscovering his studies of the dynamics and the movements of the Acropolis. Also I’m influenced by another Russian filmmaker, Dziga Vertov, whose technique of montage was very crucial. And then more contemporary filmmakers Jean-Luc Godard and Wim Wenders; in other words, my starting point comes from film studies. 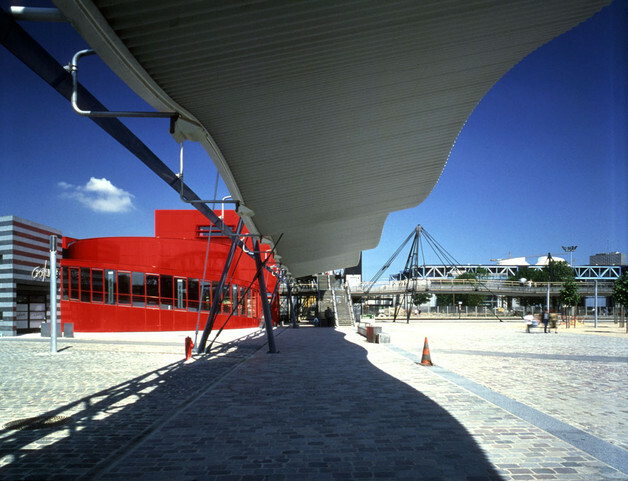 And Parc de La Villette in Paris is conceived as the cinematic promenade, analogous to a film strip. Yes, this idea was developed before La Villette. It was already in “The Manhattan Transcripts.” So, in many ways, La Villette is based on my research. That’s a good question. Let’s try to make a difference between story and fiction. Form follows fiction is, of course, a play on famous formula – form follows function, emphasizing the difference between function and fiction. This has to do with a program, or how architecture is used, since for me architecture is never about form, but about ideas and what it can do. Instead of starting a project with questions about specific requirements, such as so many square feet for a bathroom or a living room I’m interested in looking at literature or film. Here is an example – in the 17th century there were no corridors. Then the corridor was invented in order to introduce privacy. That is not an architectural idea. That’s a cultural idea. So I said – let’s look at literature. What are the changing cultural sensibilities? So when I said – form follows fiction, I really meant – let’s look for what is before function. Because before functions there are stories, there is culture, there is fiction. But I have to admit it was just an easy play on words. After teaching at the AA in London for a decade, why did you move to New York and how do you see its place in contemporary architecture then and now? Now let’s talk about New York then and now. New York there is always a battle between commerce and culture. That was the case then and that is the case now. In other words, on the one hand there were big commercial firms like SOM, HOK, and so on. On the other hand – there were intellectuals like New York Five and others, affiliated with universities. The major word at that time was autonomy. The architects were very rigid. They were defending their territories. The architects thought that they possessed a special knowledge that was only theirs. And when I arrived I was interested in breaking the boundaries to other disciplines and to other fields. So I couldn’t work with them. I was teaching at the Institute for Architecture and Urban Studies, but I was very uncomfortable there and therefore I was spending more time with my artist friends. Today we still have very large commercial firms, actually the same ones. 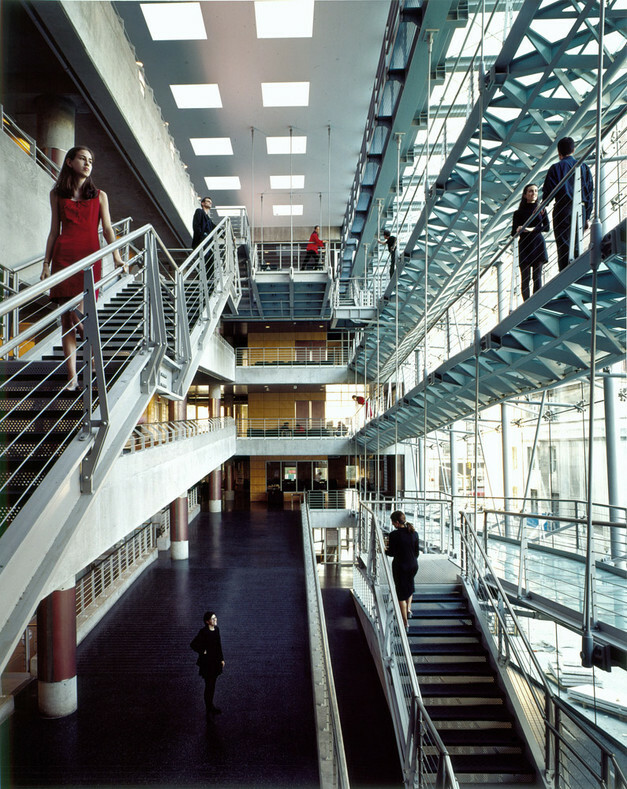 But in the early 1990s, it became clear that new ideas were not at the architectural offices, but in schools. In other words, for the first time, and maybe for the first time in the 20th century, the new discoveries were happening in schools. And in Columbia University, for example, with the young faculty we were developing new vocabulary that no one else was doing, and, of course, we had better computers then the commercial offices. There is one more difference. And that is the role of the media. In the 1970s, the media was more specialized and more educated. There were architectural historians, architectural theorists, and architectural critics. Today, there are fewer. But there are architectural journalists and architecture is published everywhere, but in a more populist manner. And that is an interesting shift. What about the place of New York City in the world? It is amazingly alive. It is not the only place, by the way, but it is a big center of ideas. There is also a culture of architecture in England and Spain, much less in France and Italy. Holland is amazingly alive, thanks also to a lot of support from the Dutch government. I don’t know any other country, which has so much strategic support. In any case, the world of architecture has become enormously global. In other words, the polemics are everywhere. The strength of New York is, of course, in publicity and the power of its institutions. Whenever something happens here it has a worldwide resonance. And one of the reasons why we were able to make Columbia one of the most powerful school in the world is that we are in New York City. Everybody comes through New York and we are all fascinated by this city. I think so. These are some of the key elements of architecture. Architecture has a dimension of pleasure and risk, which are rarely discussed. So I wanted to introduce a discourse on architecture, which goes beyond professionalism, right? Because everything about our life intersects with architecture and it always has, whether six thousand years ago or today. How would you describe your architecture? Areas of my investigations over the years are in the ideas of vectors and envelopes. Architecture is always about movement. Another area of my investigation more recently has to do with the intersection of three terms: concept, content, and context. These are three terms that often play with one another or exclude one another. Concept, because I believe that architecture is always about ideas. Forms are not important, ideas are. Context, because architecture is always located somewhere, including nowhere. Nowhere is somewhere. I’m not talking about visual context – I hate contextualism – but more about political, economic, cultural, and also urban context. And finally, content because architecture is always about events that happen in its space. These three aspects don’t necessarily intersect in a predictable way. This is part of my investigation. I’m fascinated with cities, with multiplicity, heterogeneity, the conflict, and the contradictions. Do you have a set of questions that you usually ask yourself when you start a new project? Generally, I always start fresh, as it were the first project ever. We are very analytical. For me, architecture is like a theorem. Architecture is the demonstration, right? So we test several hypotheses before we make a statement. And I’m more interested in strategies than formal solutions. And I don’t like it when clients ask me to produce a quick image or when they want me to do a project, similar to what I have done in the past. For that they better go to architects who have a more predictable range. Those who come to me are more interested in a different approach. The Lerner Center at Columbia University is a very controversial building because of the zoning requirements, but what often gets criticized is the middle part, the glass atrium where you had the most freedom to express yourself. The students who use the building say it is not functional. As an architect, how do you respond to that criticism? Why did you decide to step down as the Dean of the Architecture School at Columbia University? There are two reasons. First of all, I’m an architect and I have a lot of projects. The other reason is that I’ve been the Dean for fifteen years and that is a generation in architecture. I think I succeeded in making a major statement about architectural education. And now another generation has to come. How did you select the faculty at Columbia? Can you talk about your paperless studio? Did you also encourage students to use real materials, in a model-making shop? Yes, because we were not yet ready to use computers in the first year. To teach with computers is academically and pedagogically very different. We are still doing a lot of models and drawings. I wanted to introduce computers to student culture little by little. So we started with computers in the second year. In my office we also do everything on computers. But we do a lot of working models because, as I often say – models never lie and computers do. What is your favorite teaching assignment? I was always trying to explore assignments that would break habits. I was giving short stories or novels by James Joyce, Italo Calvino or Edgar Allan Poe for students to read and to produce a project or anything that forces them to think on their own, and not to use recipes. I welcome anything that brings a challenge. I’m very much against the teachers who try to reach preconceived end products. My case is the other way around. I have a starting point, but I have no idea what the end product will be. I want to be astonished by what the end is. What is your view of the World Trade Center rebuilding process? It is a very difficult issue, because of the layer of symbolism that is attached to it. I completely disagree with the political symbolism. I think architecture should be independent of political symbolism. The worst examples are the Fascist architecture or the Stalinist architecture. There should be no political representation. I have a problem with buildings that remind people of such symbols as the Statue of Liberty. The whole discourse hides enormous deficiencies. There is no discussion about what that place should be and what it should do. One needs to ask not what architecture should look like, but what it should do. The enormous complexity of ownership and interests made it extremely difficult to have one single voice. Therefore, the lowest common denominator was a very simplistic view of patriotism translated into architecture. Some critics believe contemporary architecture is in a crisis because architects are constantly searching for new ideas and directions, while others see it as flourishing and for the same reasons. What is your view? Yes, it is flourishing. It is very alive now! Before, let’s say, in the 1970’s, there was interesting critical work and theoretical work, but there were very few good buildings. Now good architecture could be found everywhere.